Ever since Big Finish obtained the licence to Torchwood, fans have wanted the original team in a full-cast audio and now, we have it. Sort of. The full team are indeed back together, However the actors recorded their parts separately. For instance, John Barrowman lives in Palm Springs, California, so he recorded his side in America. But, you can’t tell. It’s flawless. Your ears and your brains will fully believe the team are united and, it’s joyous. Set someone before the end of series 2; Guy Adams perfectly manages to encapsulate that era. There were moments where I believed I was listening to a previously unreleased episode from 2008. 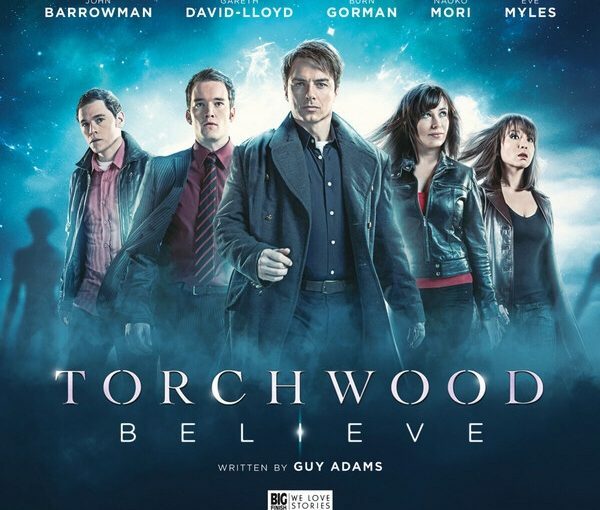 John Barrowman, Eve Myles, Burn Gorman, Naoko Mori and Gareth David-Lloyd all shine here. Each character gets a decent amount of time to develop, but I think my personal highlight is the Owen/Tosh relationship. Owen makes Tosh do unspeakable things, all whilst trying to prove he can lead a mission. Prequel stories are notoriously difficult, there can’t be anything in the way of peril, for the original characters-we know their fate and, anyone new is likely to die, as they’re never mentioned in the main series. However, such is the quality Guy Adams’ script and the performance of Gareth David-Lloyd, there was one moment in particular when I was genuinely concerned for Ianto. 2018 is shaping up to be a great year for Torchwood on audio. 10/10. John Barrowman (Captain Jack Harkness), Gareth David-Lloyd (Ianto Jones), Eve Myles (Gwen Cooper), Burn Gorman (Owen Harper), Naoko Mori (Toshiko Sato), Mac McDonald (Steve Ross), Lois Meleri Jones (Andromeda), Mali Harries (Val Ross), Arthur Darvill (Frank Layton), Rhian Blundell (Erin), Chris Rankin (Val’s Assistant), Lloyd Meredith (Davey Russell), Jennifer Sims (Grey), Aled ap Steffan (Grey). Other parts played by members of the cast. One of the many things Big Finish excel at, is exploring characters that were some what underserved on the original show. In my mind, Toshiko Sato was one such character. She was my favourite, but I always felt there was more to tell. 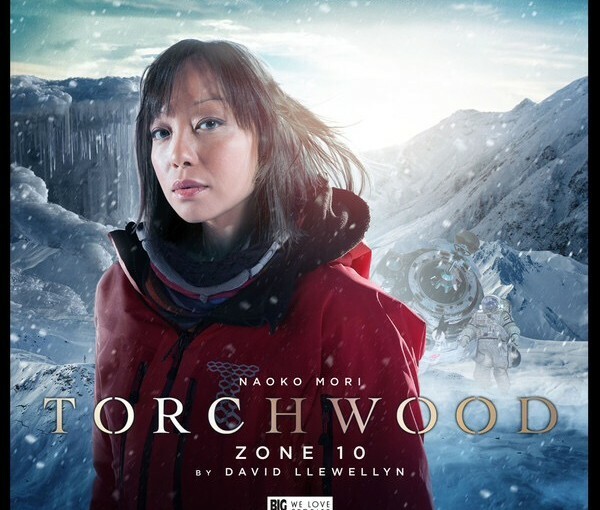 Luckily, Big Finish have given her a solo adventure with ‘Zone 10’. She’s free from the Hub and more importantly, the rest of the team. Toshiko has been investigating a strange phenomenon, known as “The Pulse”. The pulse is a radio signal that has stumped scientists for over four decades. The Russians blame the Americans, the Americans blame the Russians. But up until now, nobody has been able to decipher it. The pulse leads Tosh to Russia, where she teams up with Maxim Ivanov (Krystian Godlewski) of the KVI, Russia’s version of Torchwood. Together they enter the restricted region ‘Zone 10’. This is an excellently written drama, David Llewyn has managed to further explore Toshiko, without undermining the way she was portrayed on TV. It’s a bleak, but powerful and gripping drama. Full of gut-wrenching emotional moments. The performances and direction and strong, the soundscape is amazing. Naoko Mori is clearly having a blast being back in Toshiko’s shoes, it’s like she has never been away. 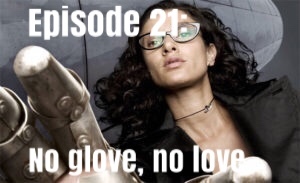 Martyn and Gerrod discuss Torchwood series 1, episode 1: Everything Changes.